We have already received some amazing feedback and comments from visitors to our exhibitions. Add you own comment below and tell us what you think of our initiative! Pretty good post. I’ve really enjoyed browsing your blog posts. Whatever the case I’ll be subscribing to your feed and i also hope you write again soon! Thanks a lot, I’ll try to check back more frequently. It is a very nice and informative blog through which we gain a lot of information for our some purpose. you did a great job and I appreciate your effort. Very nice shear and keep on sharing. Our deals are extremely simple to finish as well as within a hr you ought to have the ability to make sufficient indicate obtain your free code. Because of the excess, we have actually been handing out 48-hour codes in promos on our Facebook, Twitter, as well as Google+ web pages. Quit squandering anymore time as well as begin declaring your distinct Xbox Live Gold totally free currently! You could obtain one perk - Xbox Live Gold test - that will certainly be sent out to your e-mail address. First of all thanks for the post. Actually it is overwhelming post. I do like your firm workings and be grateful for your idea. I can pass on you another site where you can get information. Finally i will say this is wonderful job and keep it up. _, Really your post is really very good and I appreciate it. It? ?™s hard to sort the good from the bad sometimes, but I think you? ?™ve nailed it. You write very well which is amazing. I really impressed by your post. Emma (and all of the AACDD team) huge congratulations with the fantastic AACDD exhibition launch last night!! Hackney in common with other parts of East London, is the home to large numbers of very talented artists and designers from the African and Caribbean heritage communities. Hitherto, they have often worked in the shadows, unrecognised for the richness and quality of their creativity and the commercial potential of their work. The African and African-Caribbean Design Initiative brings the work of these talented artists and designers into the foreground and places it firmly within the wider context of British cultural life. For this, the Initiative is to be applauded. The power of diversity to stimulate creativity is well established. Despite this potential, the UK design industry has remained surprisingly non-cultural, with many different parts of London’s broader community unable to gain employment, access, support and a showcase for their talent. This is especially true for London’s black ethnic community. The University of Brighton hopes to bring its reputation for excellence in innovation in design and research to the AACDD project by building on the evident professionalism and commitment of the AACDD management team. The quality and scope of the exhibitions during the latter half of 2010 bode well for the future success of the project. I participated in the White and Black exhibition. And loved every part of it. During that week I met some wonderful people, and was amazed by the standard of work on show. AACDD allowed me to promote my designs to general public, in a way that I’ve never done before. I appreciate the support that I received and would love to participate again next year. I was also fortunate enough to receive interest in one of my pieces, which led to a sale. The African and African-Caribbean Design Diaspora is a fantastic vehicle to promote African and African-Caribbean culture and creativity! I am looking forward to your future exhibitions and events! Keep up the excellent work! 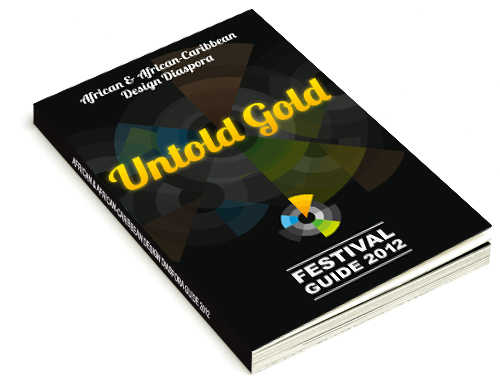 "What an eye opener into African and African Diaspora Culture"
"A feast of the senses and a soul-enriching experience. I will come again! Well done and I hope the world sees more of these artists." "What a wonderful exhibition - thanks and well done!" "Nice and exciting show - will love to exhibit in your next show." "Love the art African work. Well done, need to see more art work like this!" "Brilliant work. Spread the word round the globe!" "Simply beautiful! Such a refreshing initiative!" "Can only be from Africa! Beauty, Passion, Culture combined! Truly beautiful work!" "A unique blend of culture. I like the set-up and I think exhibitions like this should have more exposure. Simply beautiful - keep it up!" "An interesting concept how the exhibition has been put together."